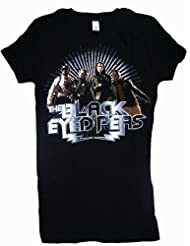 The Black Eyed Peas (BEP) is an American hip hop musical group based in Los Angeles. The group is composed of will.i.am, apl.de.ap, Taboo, and Fergie. 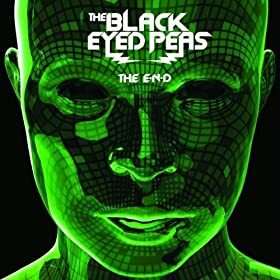 Since their breakout album Elephunk (Buy Album ) in 2003, the group's hip hop/dance pop-oriented style has sold an estimated 20 million albums worldwide and 13 million singles. The group is one of only eleven artists to have ever held the number 1 and 2 spots on the Billboard Hot 100 at the same time. With 24 consecutive weeks at No. 1, the Peas push past Usher's record for most consecutive frames atop the Hot 100. Their breakout album, Elephunk, was released in 2003. It was the group's first album to feature the vocals of Stacy "Fergie" Ferguson and she became the replacement for background singer Kim Hill, who left the band in 2000. Originally, Nicole Scherzinger (lead singer of the Pussycat Dolls) was approached to join the Peas. She was forced to decline because she was a member of Eden's Crush and was under contract. Dante Santiago then introduced Will to Fergie, who joined the band in 2003.